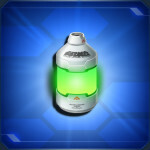 You have until May 1st’s Maintenance to complete this task. 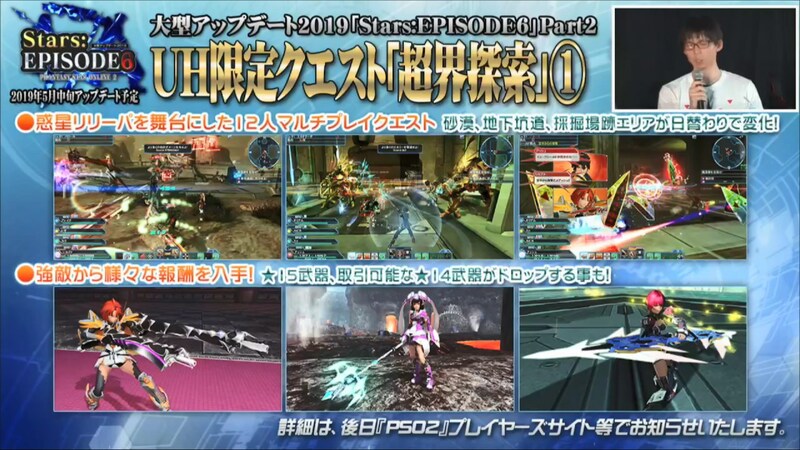 Episodes 9 through 12 will air on the in-game monitors. 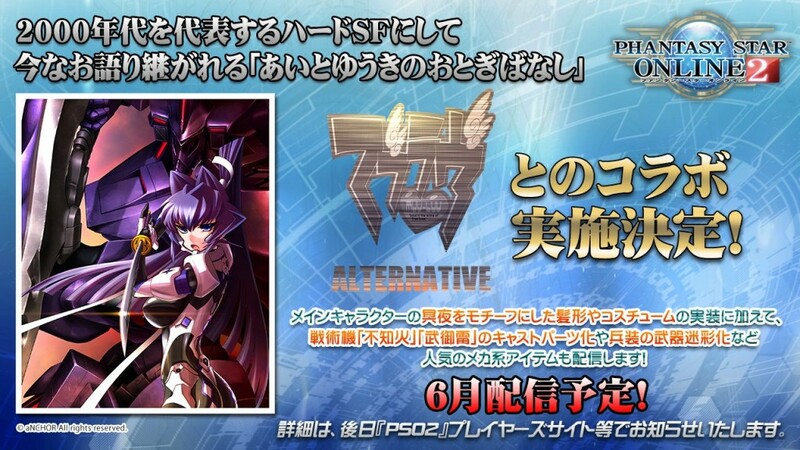 PSO2 will collaborate with Muv-Luv Alternative in June! Enemy Shields reduce damage in half. Attacking the enemy shield weakpoint deals +20% damage. 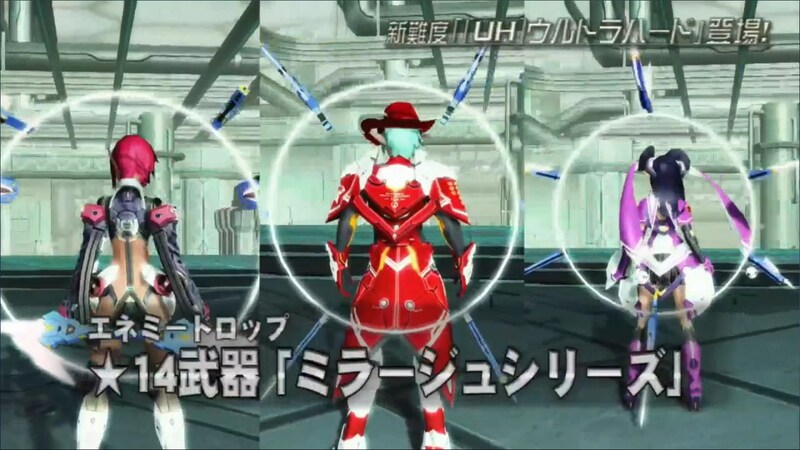 There are cases where the shield will attach to enemies upon E-Trials in [Ultra Explorations]. 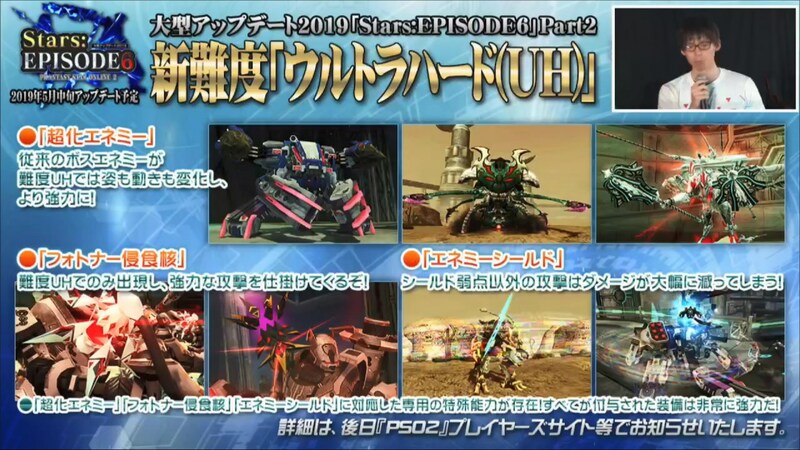 Special Abilities can be obtained from these enemies. 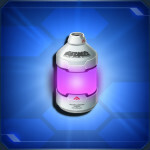 This does not increase damage towards Enemy Shields. 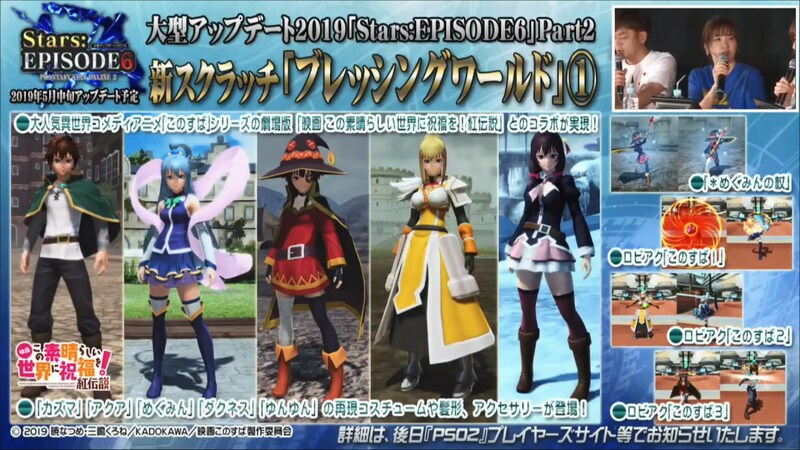 Outfits for Kazuma, Aqua, Megumin, Darkness, and Yunyun. 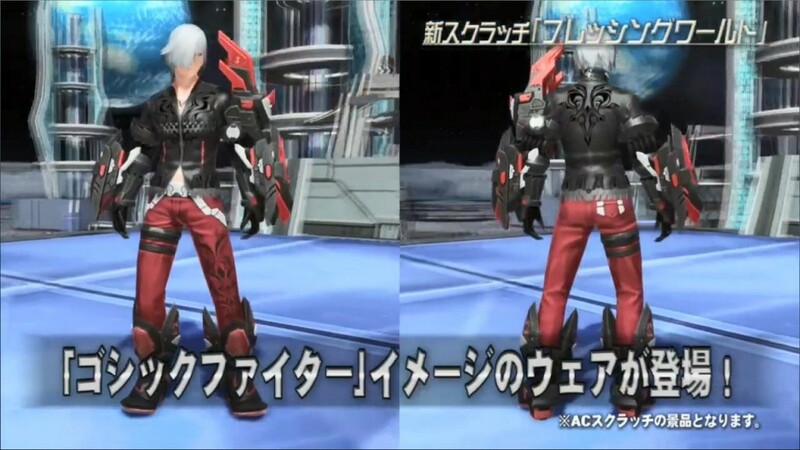 Lobby Actions, Hairstyles, and Accessories too! 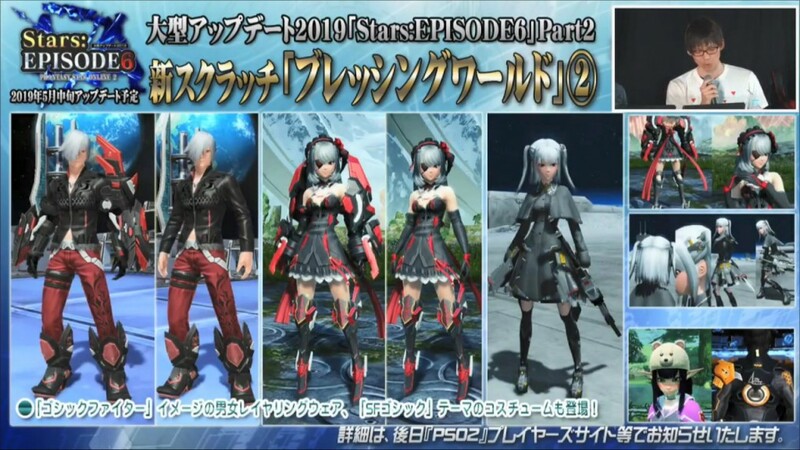 Gothic Fighter outfits and a Sci-Fi themed costume. Ultra Enemies: More powerful version of bosses with different behaviors. 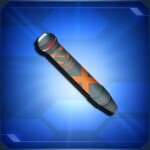 Photoner Infection Core: Appears only in Ultra Hard, and launches powerful attacks. Enemy Shield: Greatly reduces damage to attacks outside of the shield’s weakness. Drops include ★15 weapons, tradeable ★14 weapons, and weapon camos! ★15 weapons have potentials with unique effects. New Emergency Trial: Try to Achieve the Requirements! 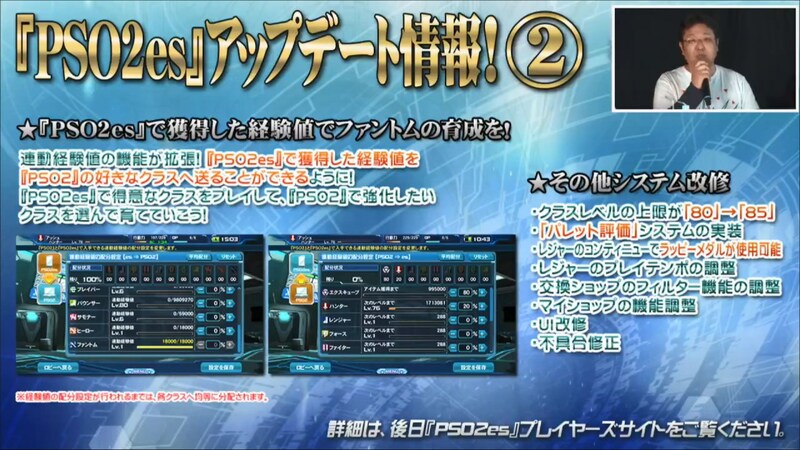 Gather data on various conditions, for example; total damage dealt or number of enemies defeated, etc. 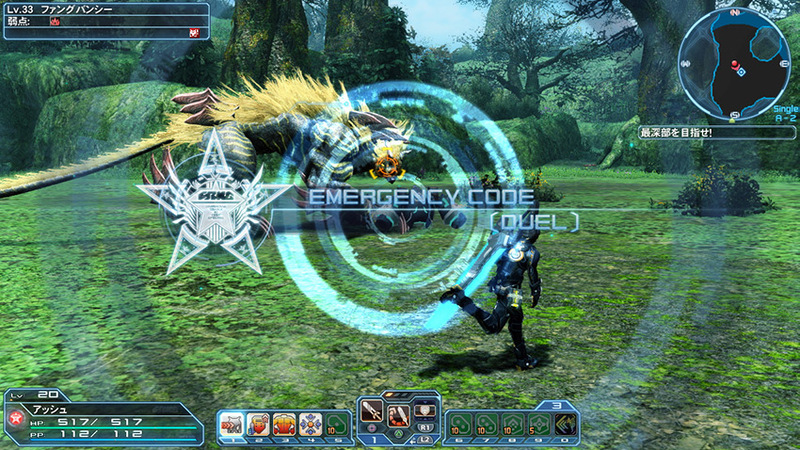 New Emergency Trial: Subdue Resonant Enemies! Two enemies will appear, but if you don’t beat both of them simultaneously, the remaining enemy will become stronger. Search Player Shop market prices from the Item Pack. 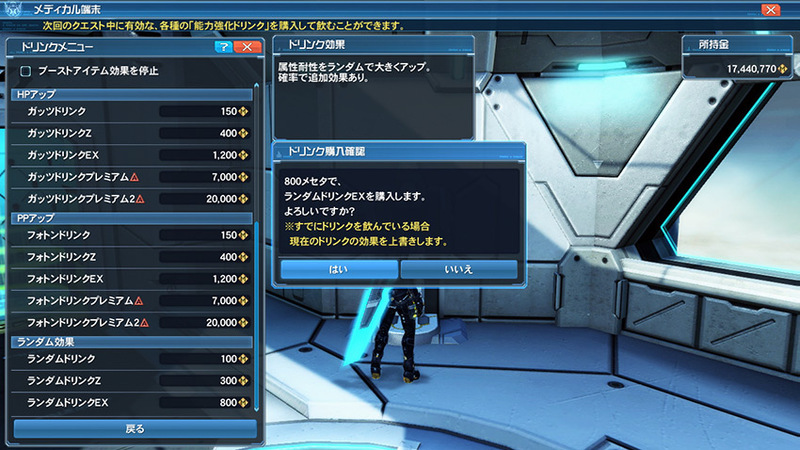 You can now set the number of slots when searching for Special Abilities on the market. Added a feature that displays the number of players in the quest. Boosted the effects of cuisines that affect [Gathering]. 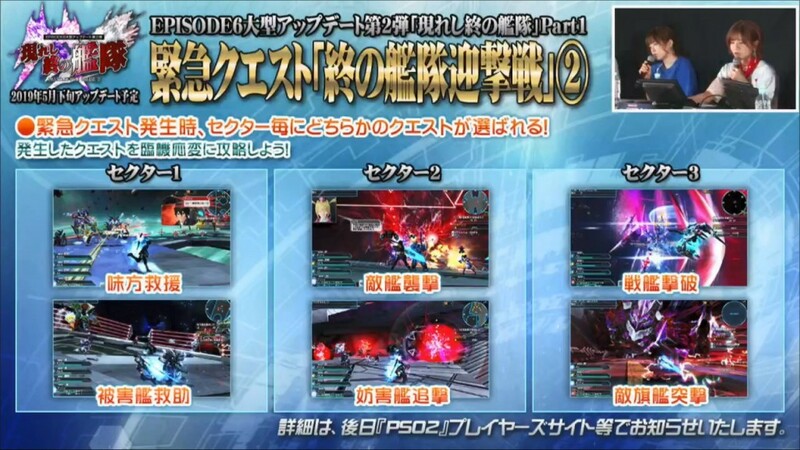 As you know, [Armada of the End]’s Emergency Quest has three sectors. Each sector however has two patterns, making things less monotonous. 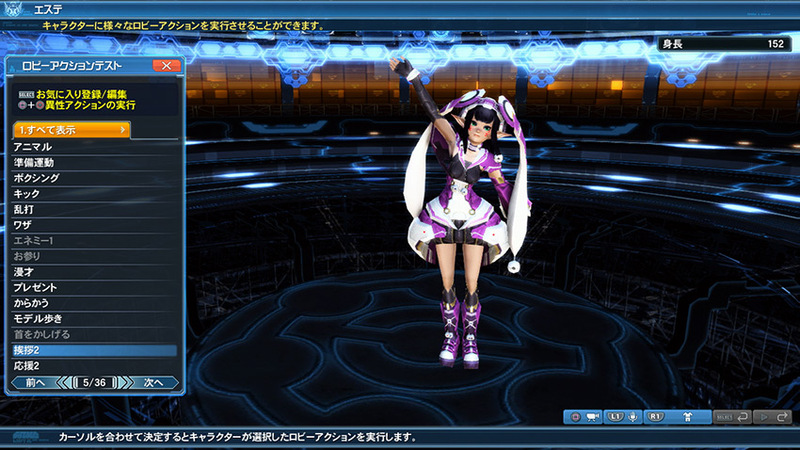 Collect Prize Medals for various items at the Exchange Shop. This Exchange Shop contains a bunch of ★15 weapons too! 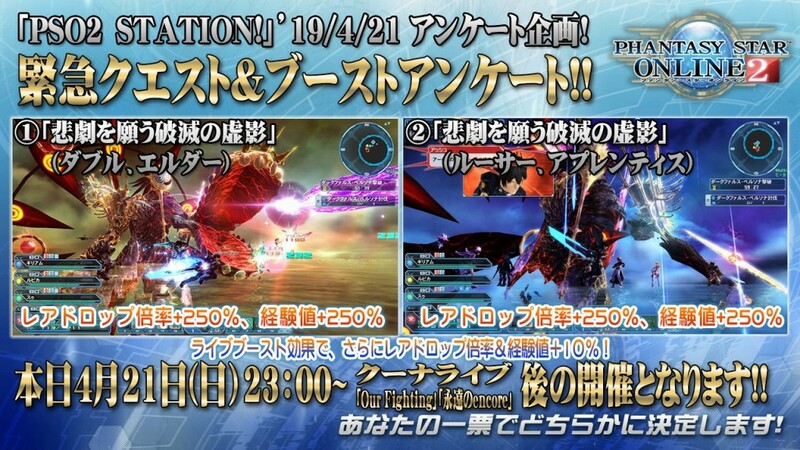 Obtain even more Prize Medals from defeating Luminmechs. 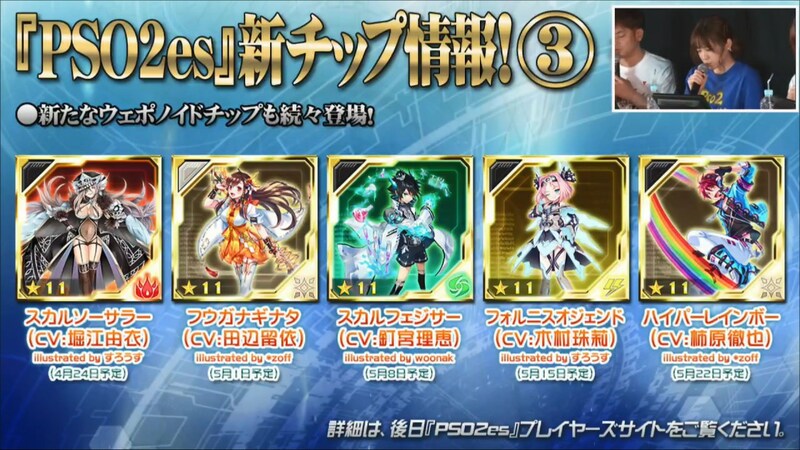 Expert requirements will change starting May 29th. What happens if you equip [L/Another Wand E Change] and [L/Wand E Change] at the same time? What will happen to Elzelion after May 15th? 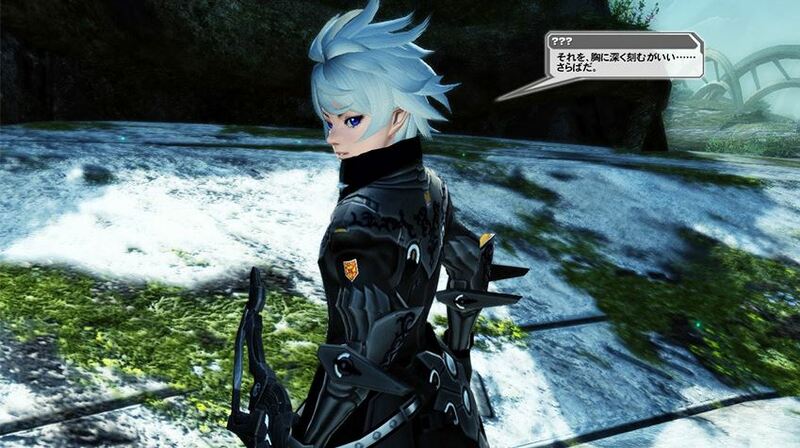 After May 15th’s Maintenance, Elzelion will no longer appear and his triggers will be unusable. 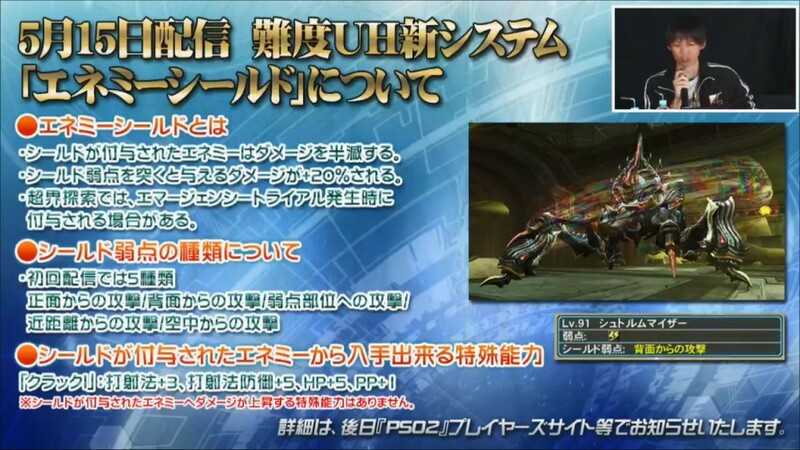 However, [Hunting Stones] will still be able to drop from other enemies. Will there be a Timed Ability for [Armada of the End] EQ? 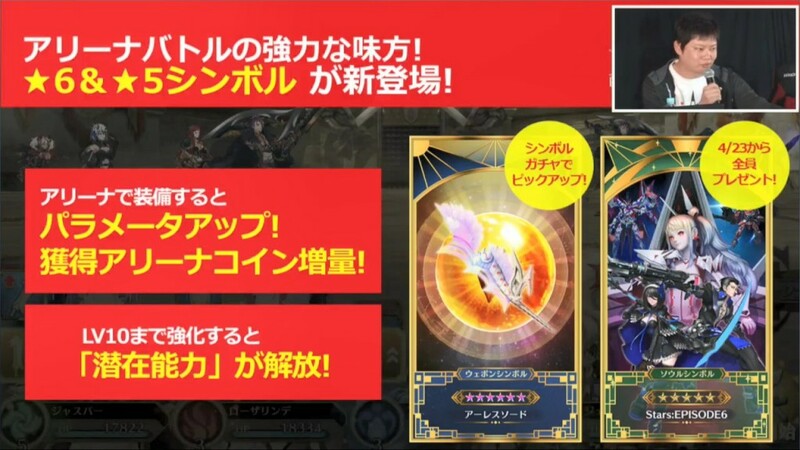 Yes, and there will also be a new crystal. Are there plans for a ★14 Rappy Egg? Yes, it will drop from Ultra Hard. Does Arks Mission’s [Use one Boost / Food item] cover gathering cuisines? What do I need to upgrade Evleda Units? You’ll need the Evleda Unit and Cleasis Boosters. 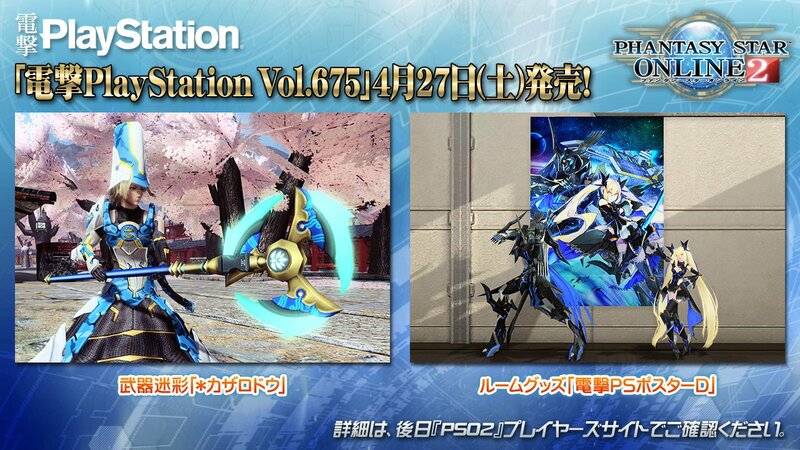 There’s also going to be an event so you can get this material. Do the A.I.S rings apply to A.I.S Vega? Can I upgrade ★13 Orbit Series to the ★14 Mirage Series? Since Phantoms use Technics, will there be Assault Rifles and Katanas with T-ATK? 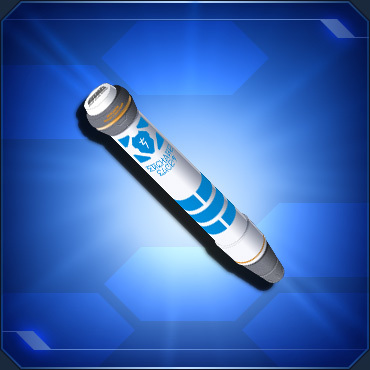 Yes, the successor to Orbit will have T-ATK. 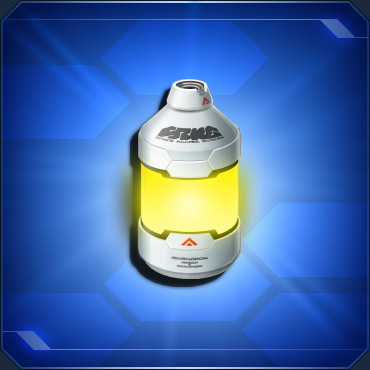 Will we be able to headshot Luminmechs? 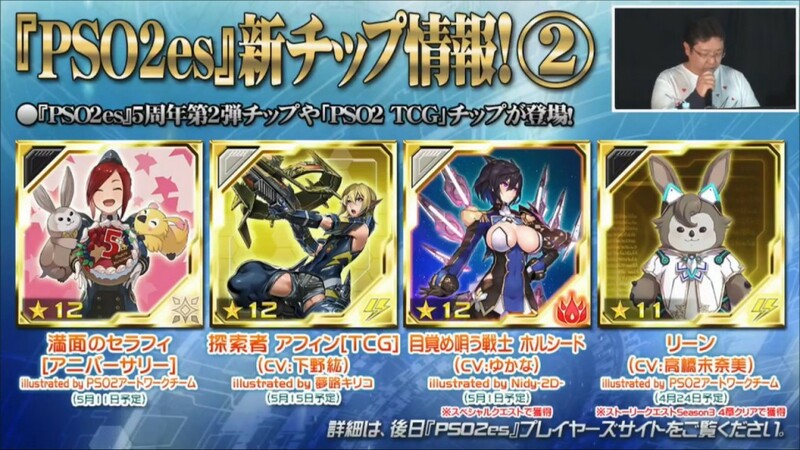 For some of them, but you should basically just aim for their weakpoint cores, since the other areas have a high resistance. 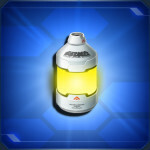 Clear the newest story quest to get the Lien chip! 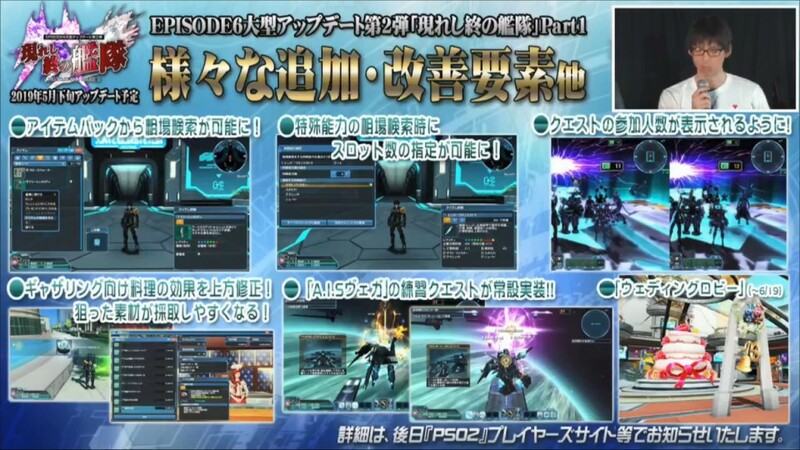 You can now send EXP earned in PSO2es to your favorite class in PSO2. 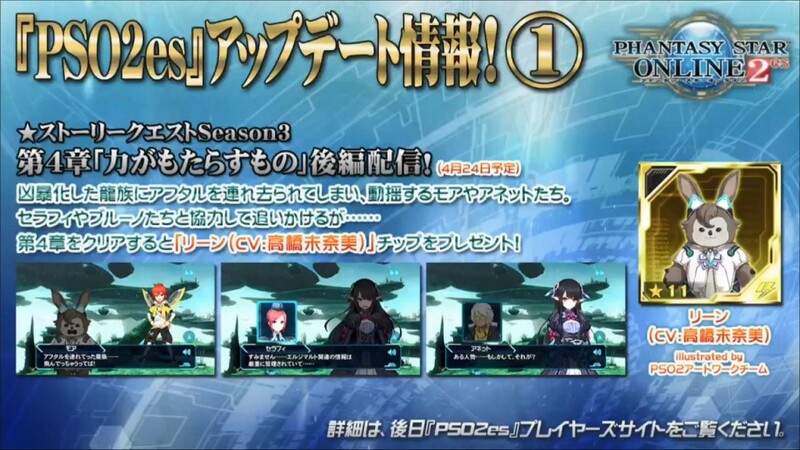 Characters that appeared in the first round will reappear! 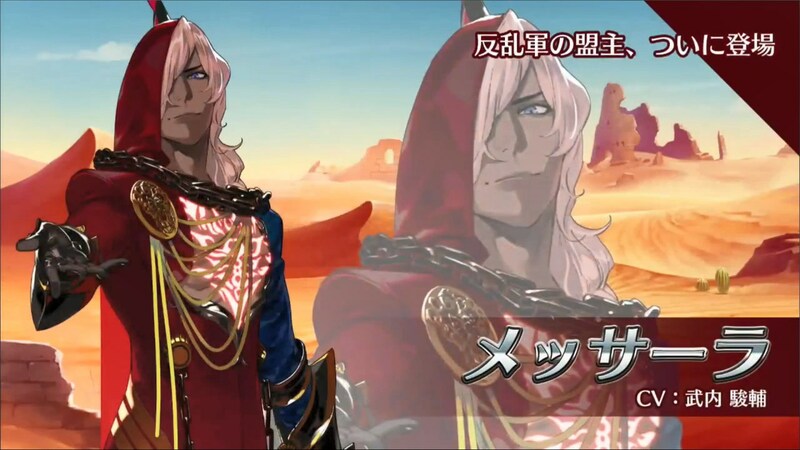 This is your chance to obtain [Awakened Warrior Khorshid] chip. This quest features the Seigas! 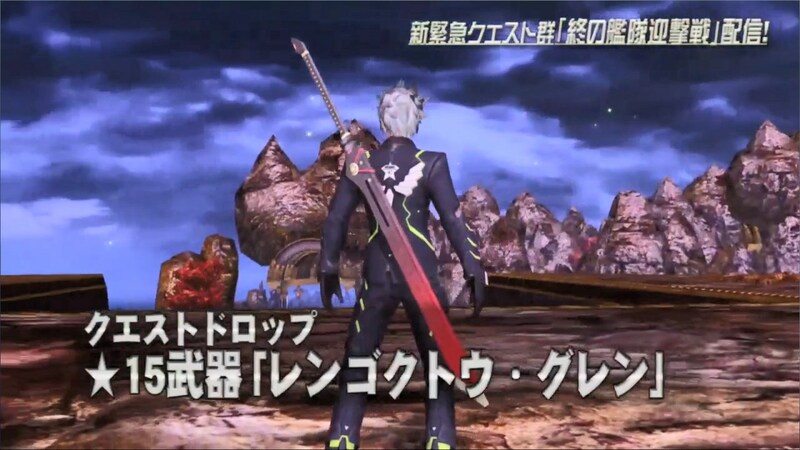 The rival of the Seigas will appear! 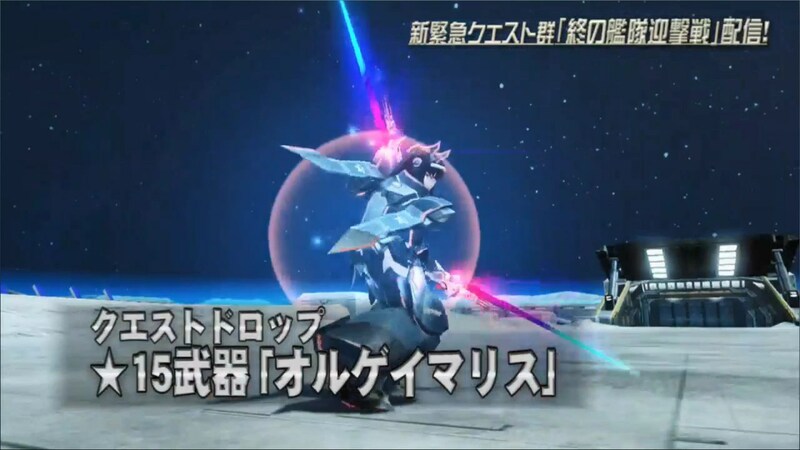 ★14 Weapon [Guren/Shien] series will drop! Upgrade them to Lvl .10 to unlock potential abilities! 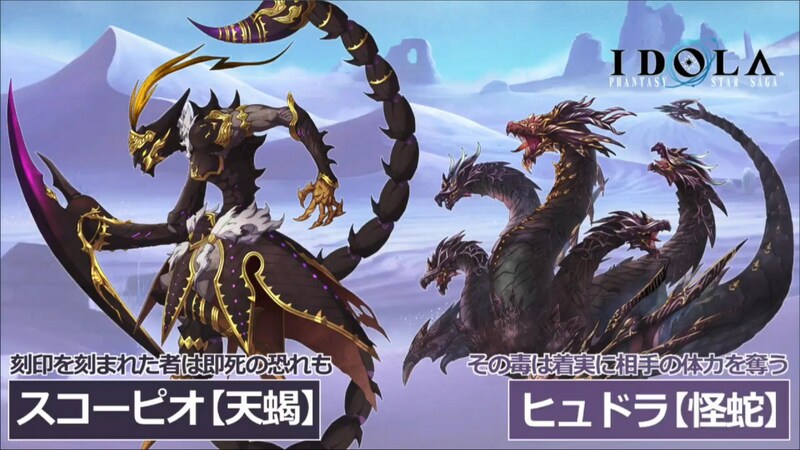 Barnabas: New 5 star character! 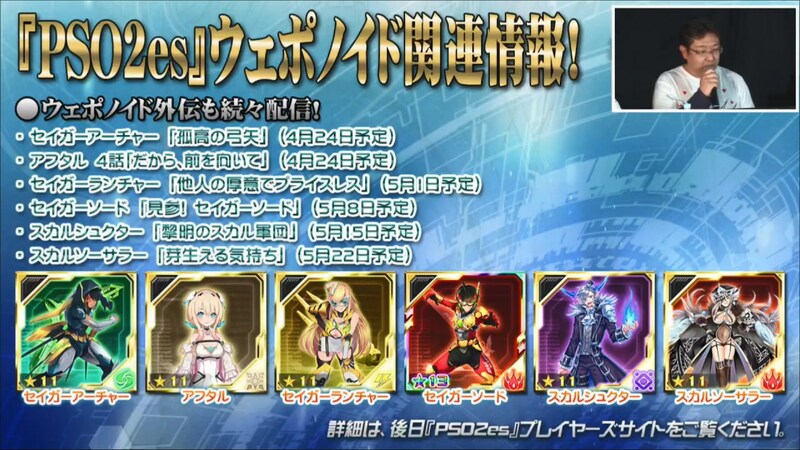 Lucky Chance: Boosts the acquisition rate of a specific 5 star character. 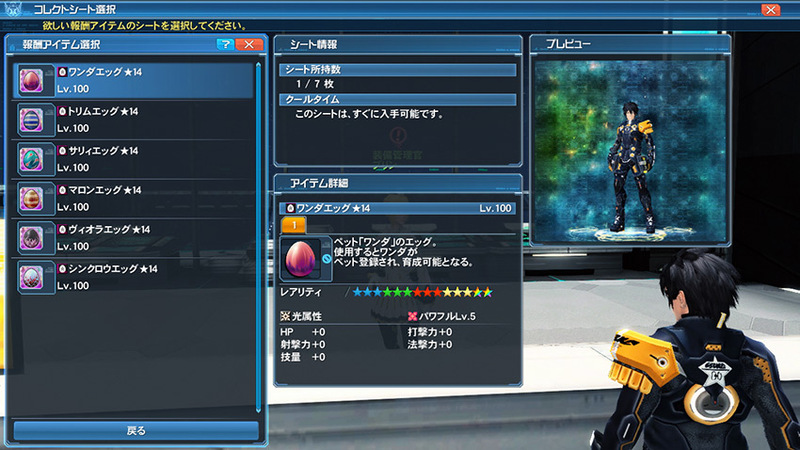 High Ranking Rewards cover 6 star symbols Agito and Orochi Agito. Pusoni Anime will be compiled into a Blu-Ray / DVD. 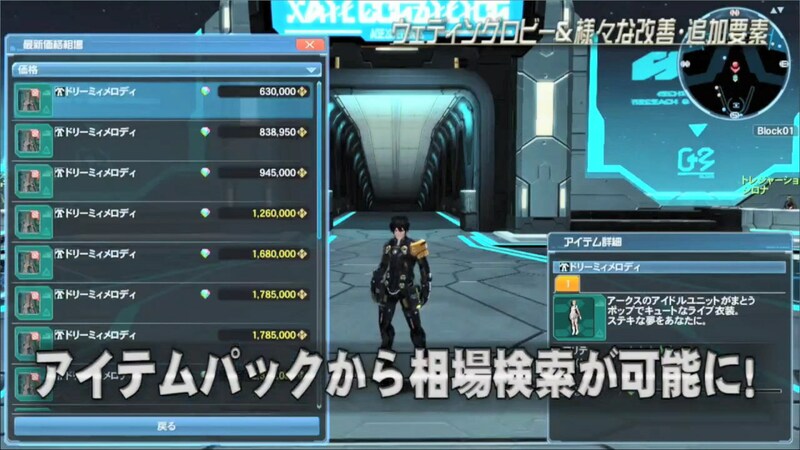 Item Codes are also included. 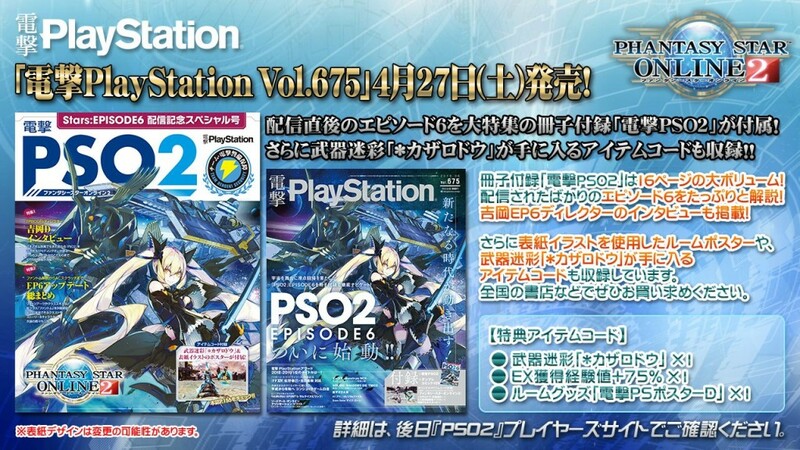 Dengeki PlayStation Vol 675, which is going on sale April 27th, will contain a 16 page feature of PSO2. 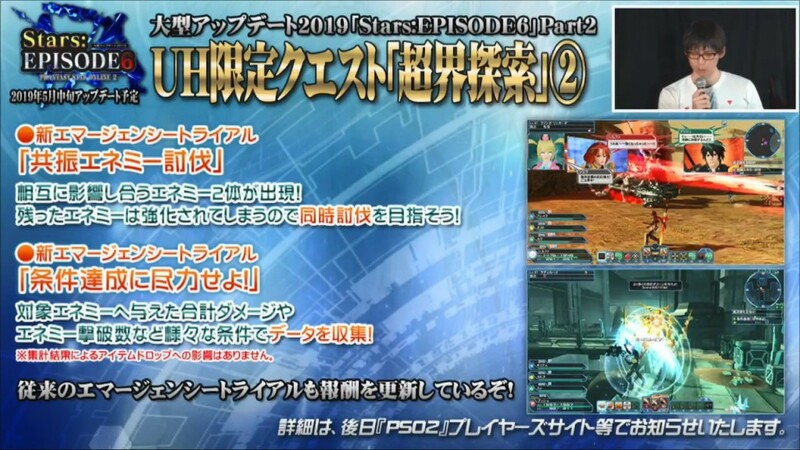 The rest of the Phantasy Star Fan Festas will release Lobby Action of local food specialties to the attendees. 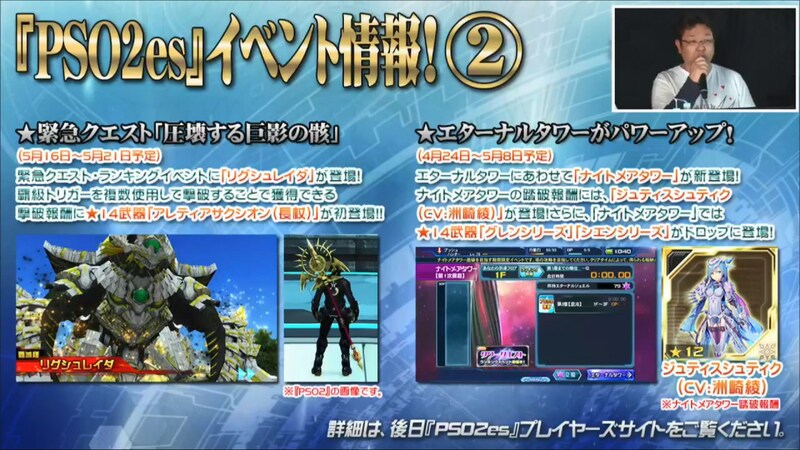 Item Codes: ＊Blackbull, Weapon Form Change Pass, 1 Mil EXP Ticket. 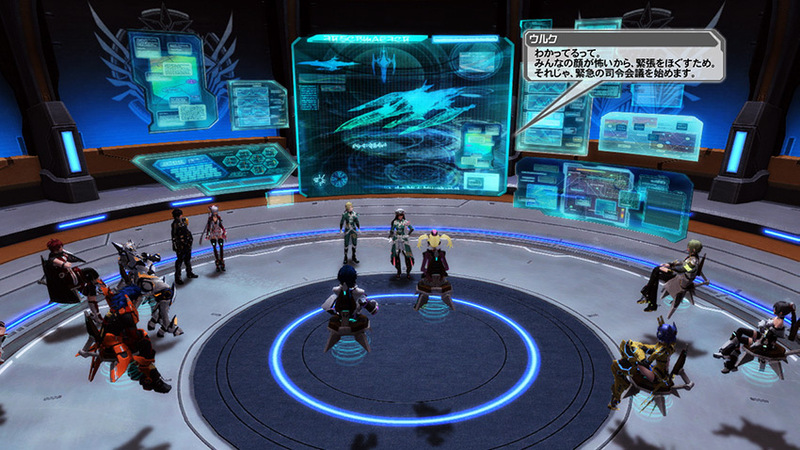 An emergency meeting is held at the behest of the Ulc, now commander-in-chief of the ARKS. The unprecedented threat posed by Shiva must be addressed. 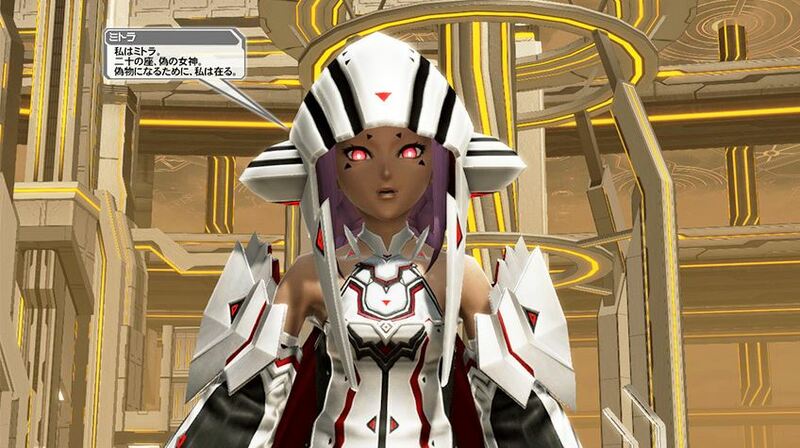 How will the ARKS stand against a foe capable of overwhelming the Council of Six and the Guardians? Shiva launches an incursion inside the Mothership, with the Guardian in pursuit. Standing in the way is Mitra, The False Goddess. What abilities her title suggests remain to be seen. 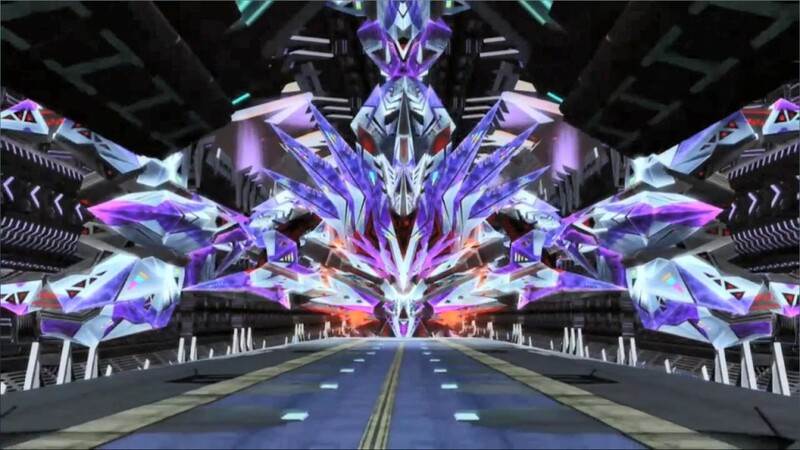 Luminmechs, enemies controlled by the Photoners, emerge to threaten the ARKS! 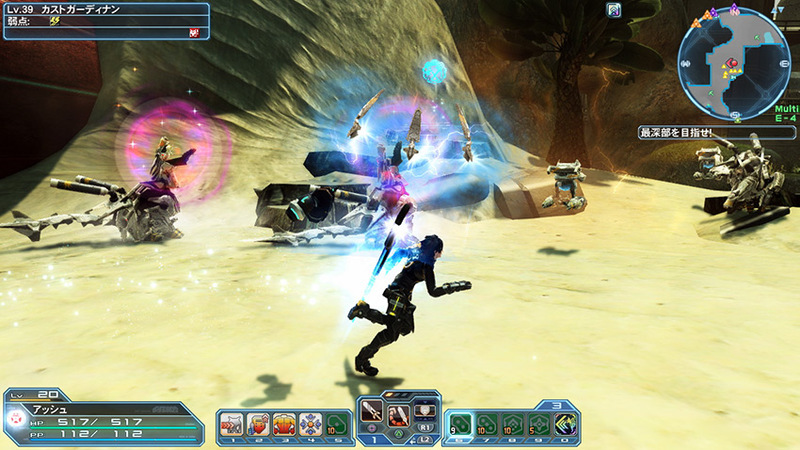 Dral Veluge, the first Luminmech boss to appear in Episode 6. 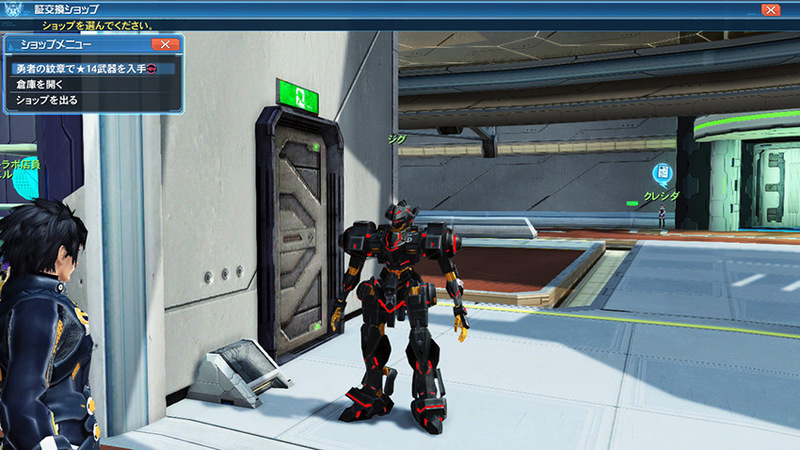 The Phantom class materializes in Episode 6, utilizing Assault Rifle, Katana, and Rod. 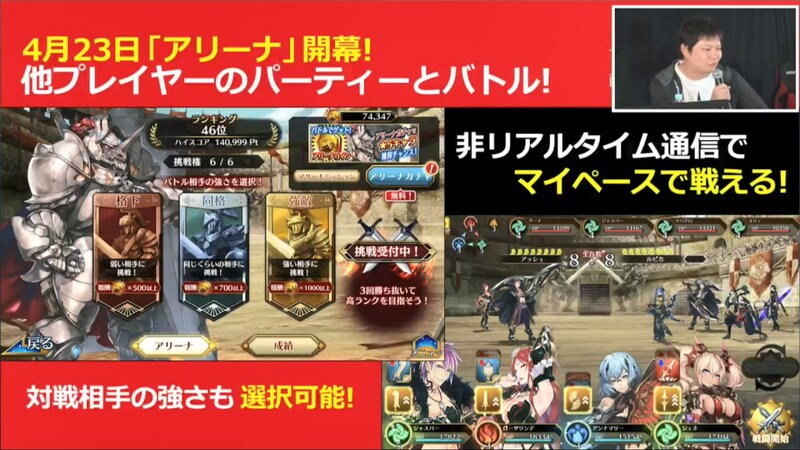 Unlocking the class requires having two classes at Level 75+. 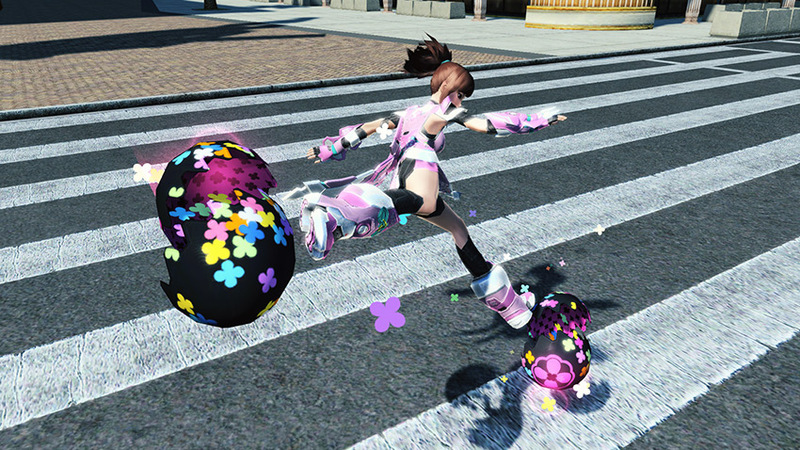 Hit the streets of Las Vegas and duke it out against an outbreak of Phantoms and Esca Darkers in this year’s Wild Easter emergency quest! The ★14 [RA Stinger] All-Class Partisan and [Egg Rappy Suit Mini] are among the quest’s new rare drops. [RA Stinger] will also be available in the [Special Collection]. Xie hops into the lobby in bunny attire to offer up new client orders! Get cracking on clearing the [Easter 2019 Bingo] for the [＊Oval Privera] weapon camo and more. 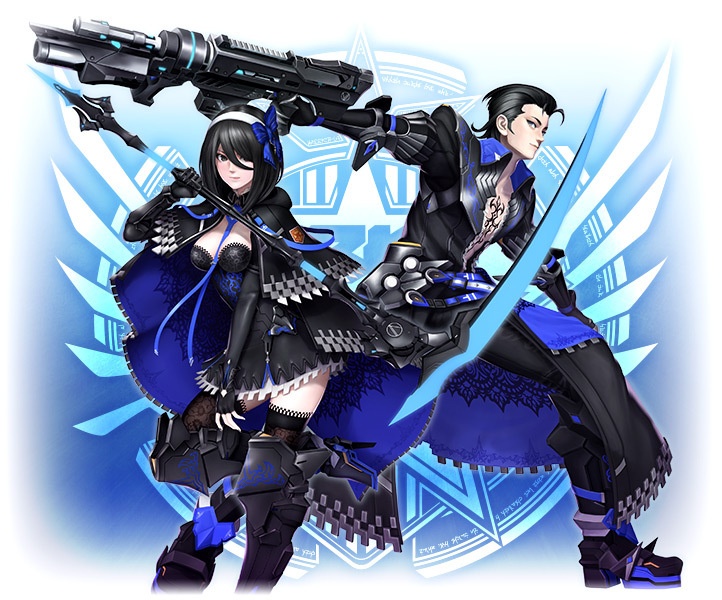 Acquire +30 weapons of the Calamity, Tridia, and Vades series from the Easter 2019 Collection! A hunting we will go for ★14 Pet Eggs with the Easter Egg Collection! Arks Missions are a new system which will consist of [Main Missions], [Weekly Missions], and [Daily Missions]. 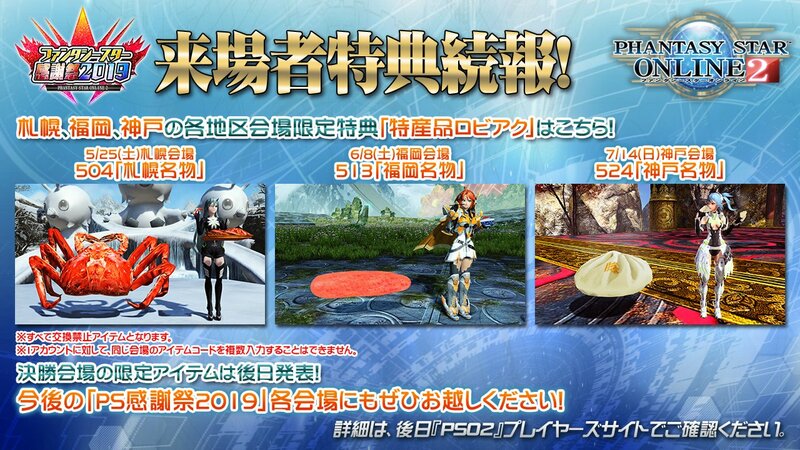 Main Missions will be a replacement of Arks Road to teach you all about PSO2. 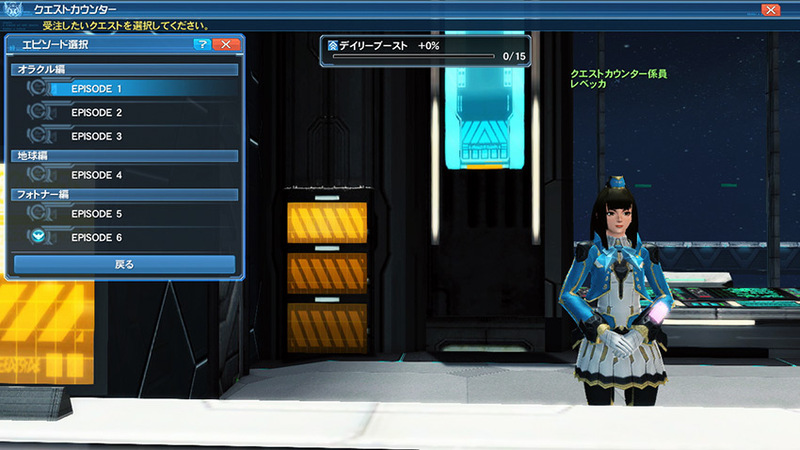 Daily Missions will reward you with items and EXP. 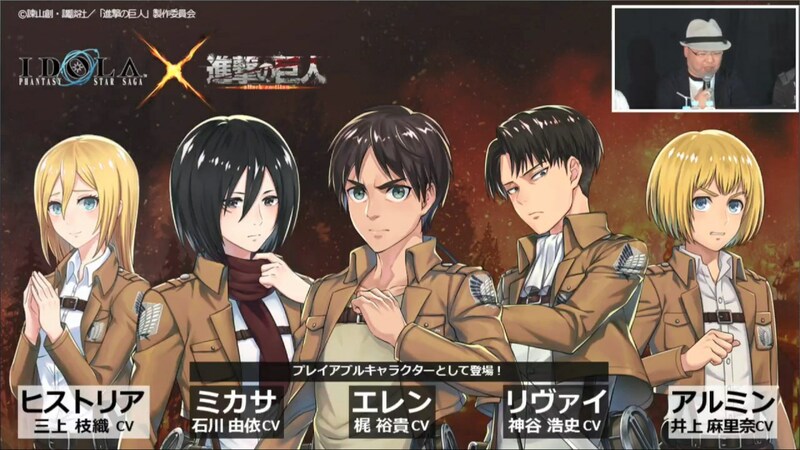 They will reset daily at 00:00 JST. 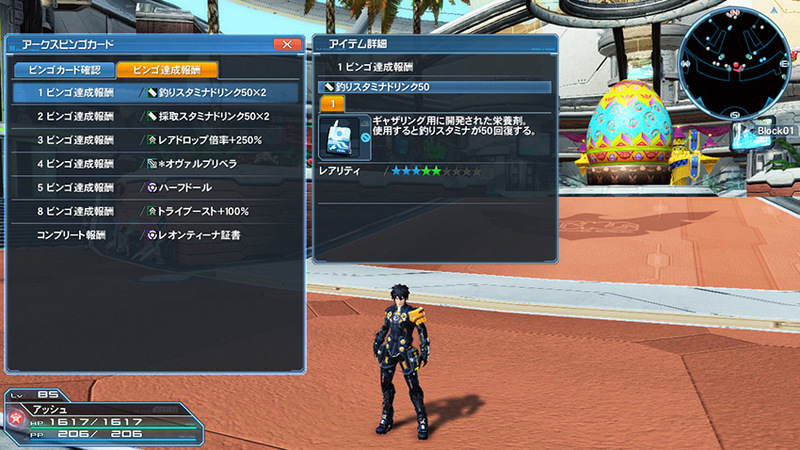 Weekly Missions will reward you with items, EXP, and meseta. 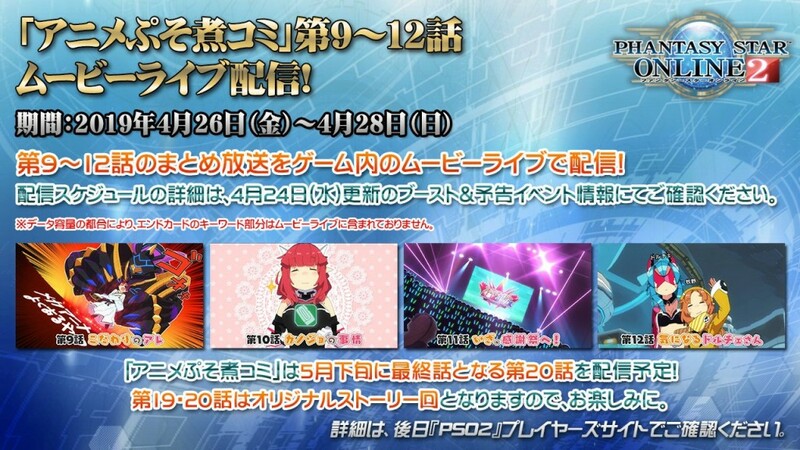 They will reset weekly at 13:00 JST on Wednesdays. 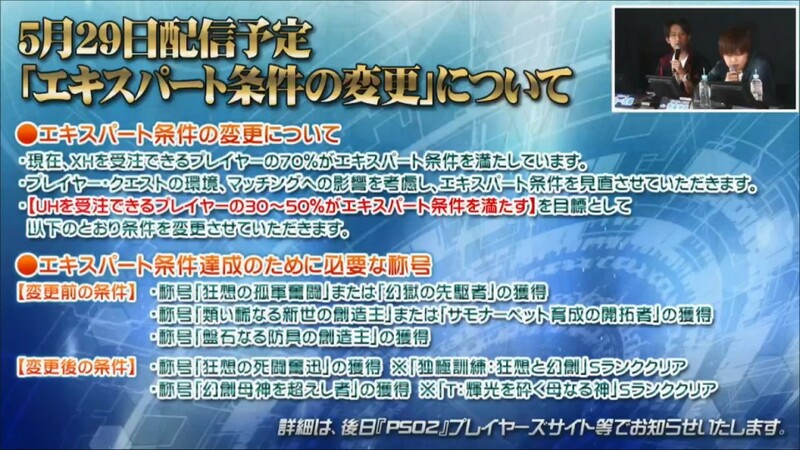 The total amount of meseta obtainable through Klotho will be reduced. 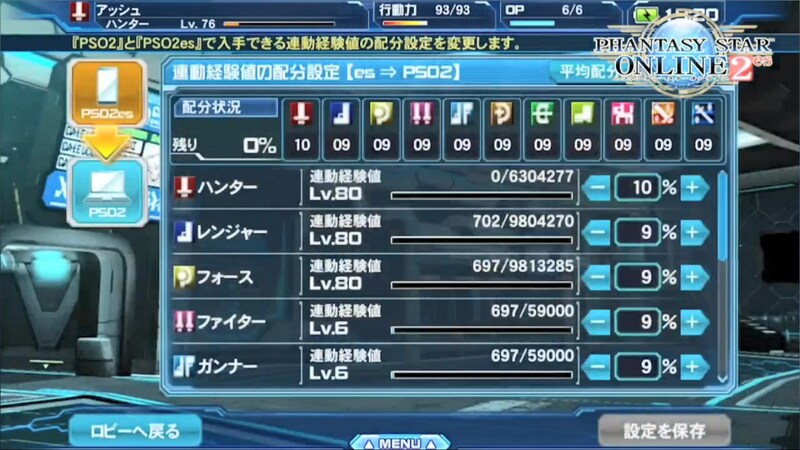 However, Weekly Missions will make up for the amount of meseta loss. A new chat function called [Group Chat] will allow up to 100 players to communicate together. You can create / join up to 5 Group Chats. Additionally, you can see the comments from when you were logged out after you log back on. 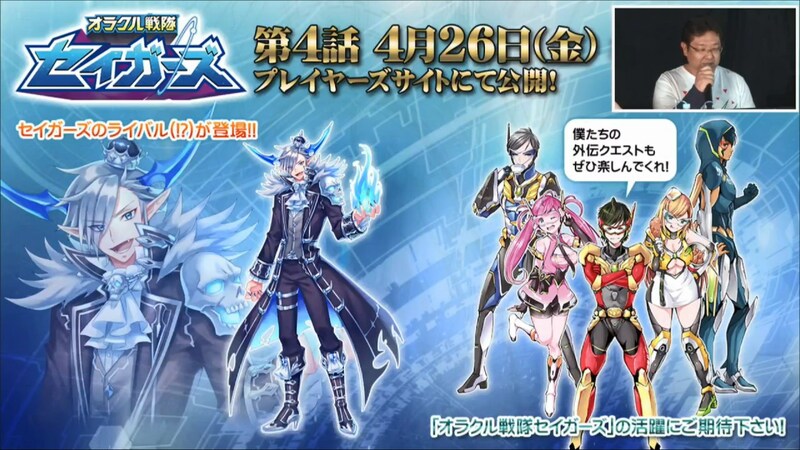 The [Hero’s Crest Exchange] will consist of Omega Loser and Omega Apprentice’s unique ★14 weapons along with Ares-NT Weapons. 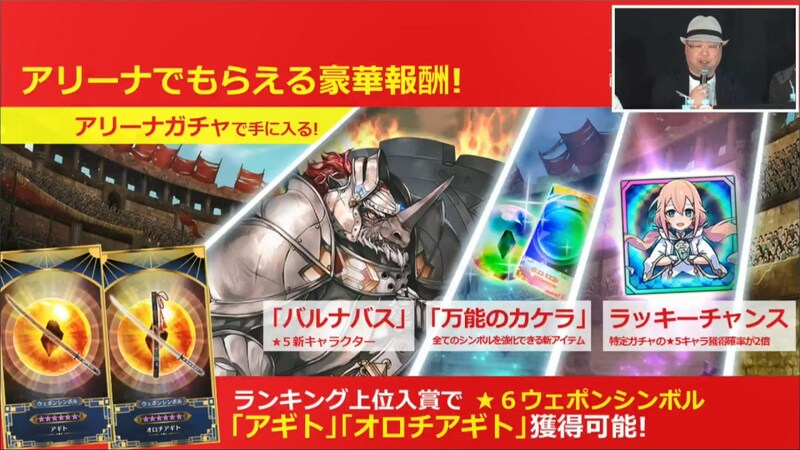 Conqueror and King’s Crests will also be obtainable. One Hero’s Crest for four Conqueror’s Crest, or one Hero’s Crest for two King’s Crest. The Tutorial has undergone a revamp to allow first timers to train in a better environment. 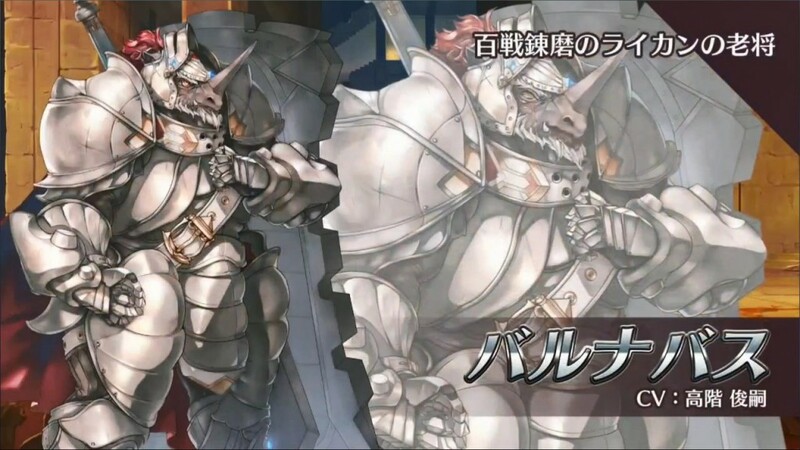 Rockbear will be met in the middle of the quest, and the boss will be Dark Ragne. How Do You Set Technics? 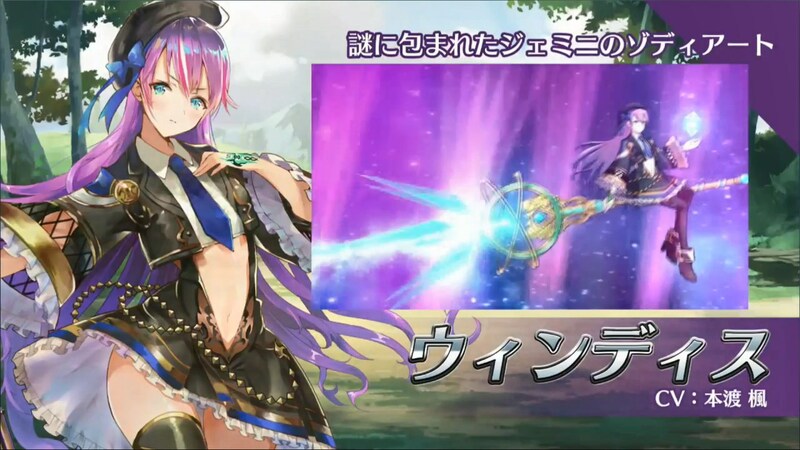 Fang Banther will now replace Rockbear as the boss in Free Field: [Forest Exploration]. The amount of enemies appearing has been adjusted in each Free Field. Even with a small amount of players, you’ll encounter more enemies. 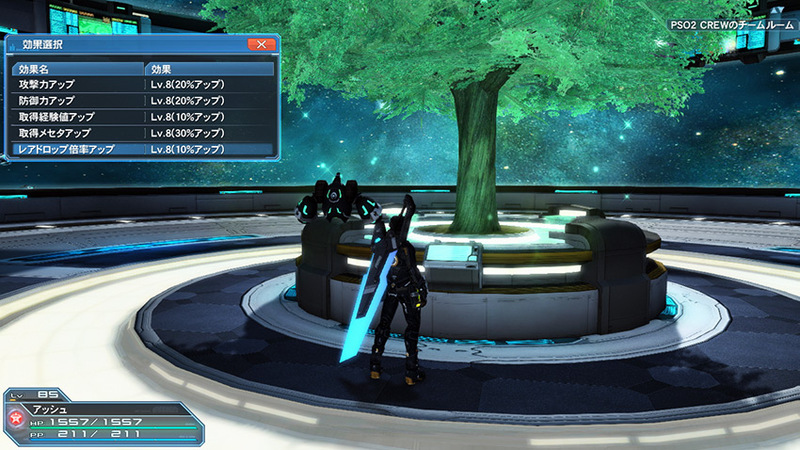 The Photon Tree will be adjusted so that the support effects will no longer gray out. Omnibus Quest [EP1-3] will be integrated into the new Story Quest as [Episode Oracle]. 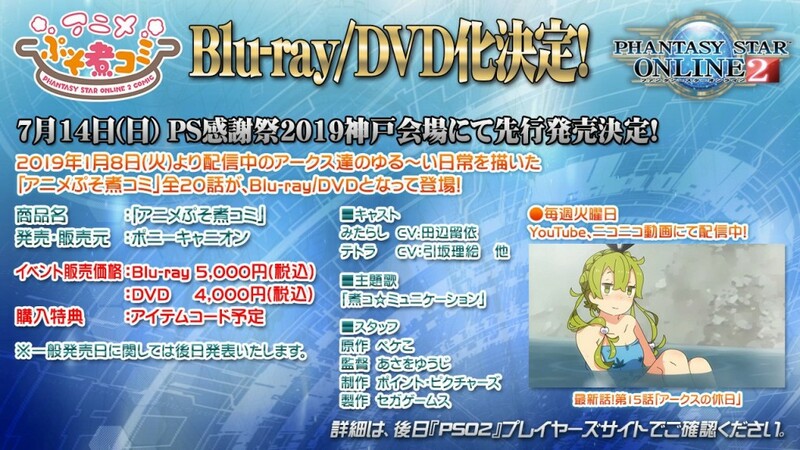 Clear data of each Episode will be carried over. Storyboard [EP4] will be integrated into the new Story Quest as [Episode Earth]. 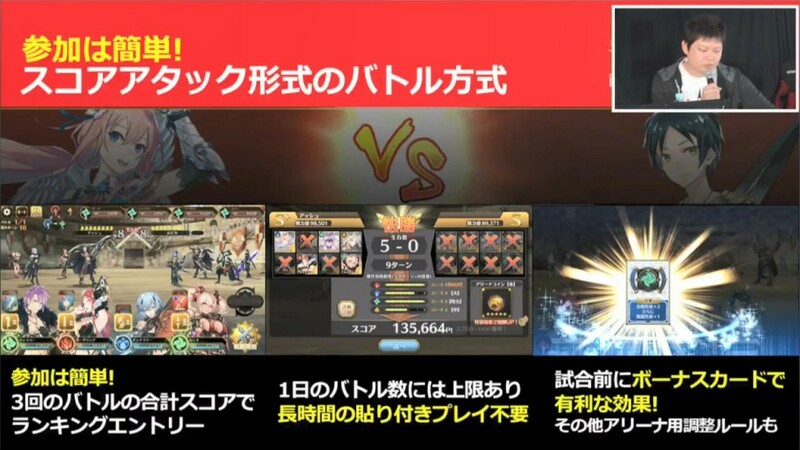 Storyboard clear data of all characters will be merged, with the most advanced progress carried over. 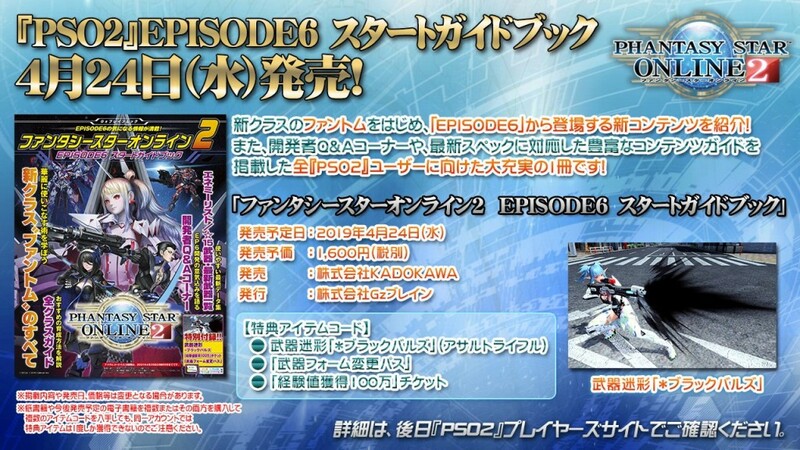 Please be warned that rewards for Storyboard [EP4] will not be able to be received after Episode 6 release. 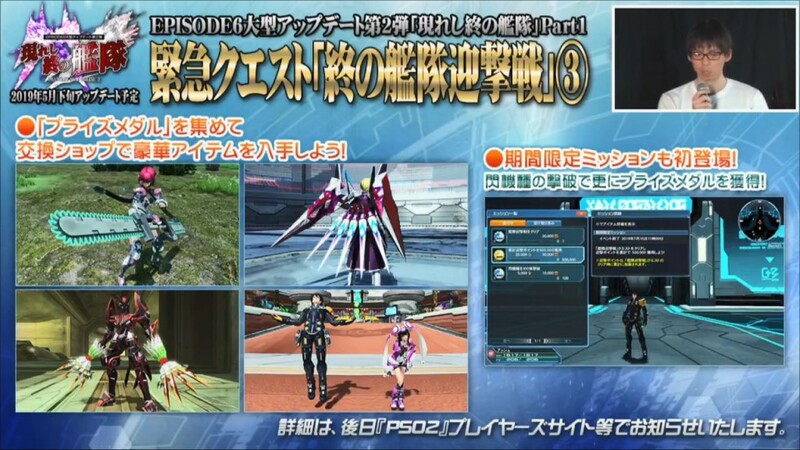 Main Story [EP5] will be integrated into the new Story Quest as [Episode Photoner]. 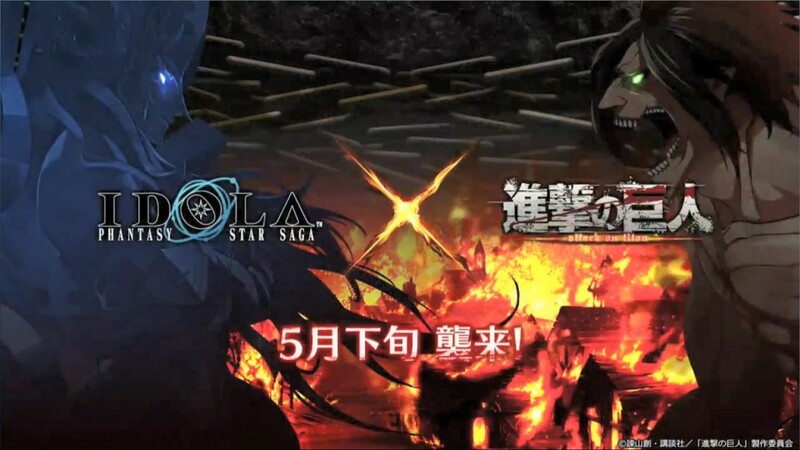 Episode 6 can be viewed after clearing Episode 5. 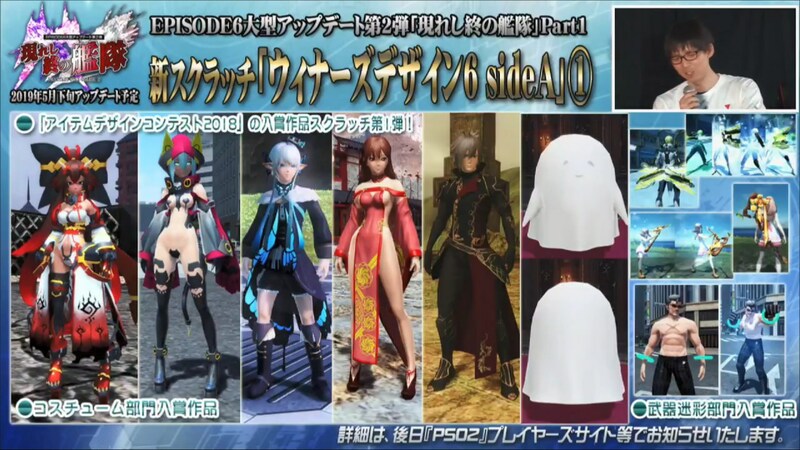 NPC outfits and placement will be changed according to last viewed Episode. 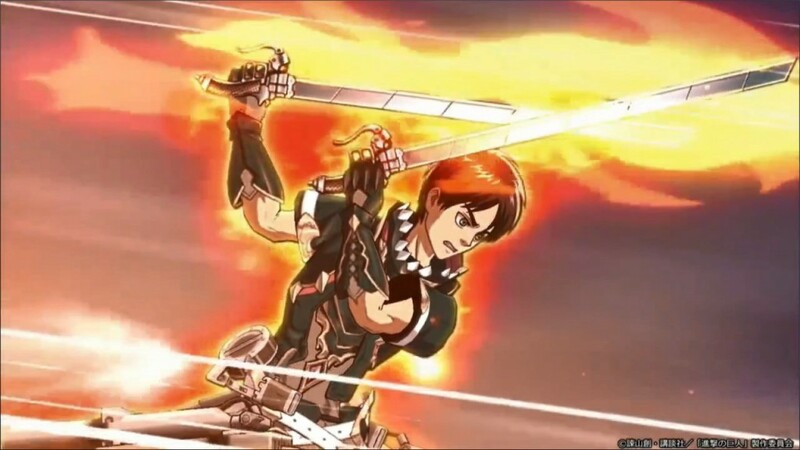 Alma’s impression on Episode 1-3 can be viewed by playing through the beginning of Episode 5. 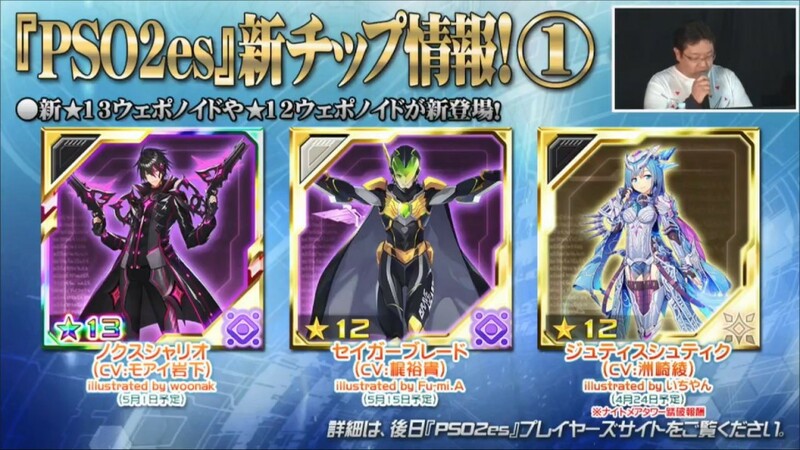 Title rewards from Omnibus Quest [EP1-3] and Storyboard [EP4] can be acquired by achieving similar conditions in Story Quests. 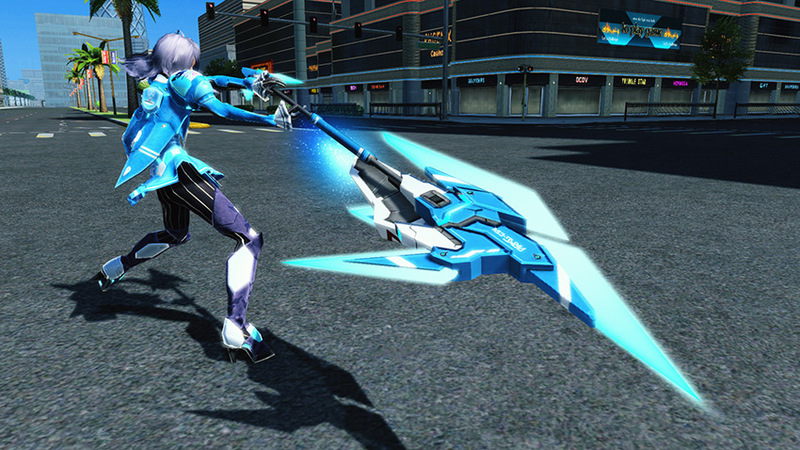 Players will now be able to place Technics onto any weapon palette. In addition, Photon Arts can be placed onto the sub-palette. 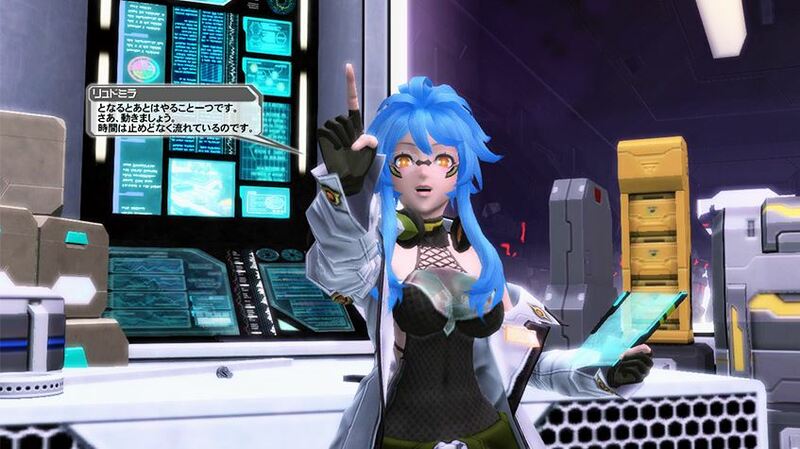 ※Technics can only be used if the Main / Sub class has access to them. ※Pet Photon Arts will not be able to be set on the Sub Palette. If a drink effect is currently active, you will now be able to overwrite that drink. ※If you turned off Boost Items, you will not be able drink again if the Quest has already started. Lobby Actions can be previewed in the Beauty Salon. 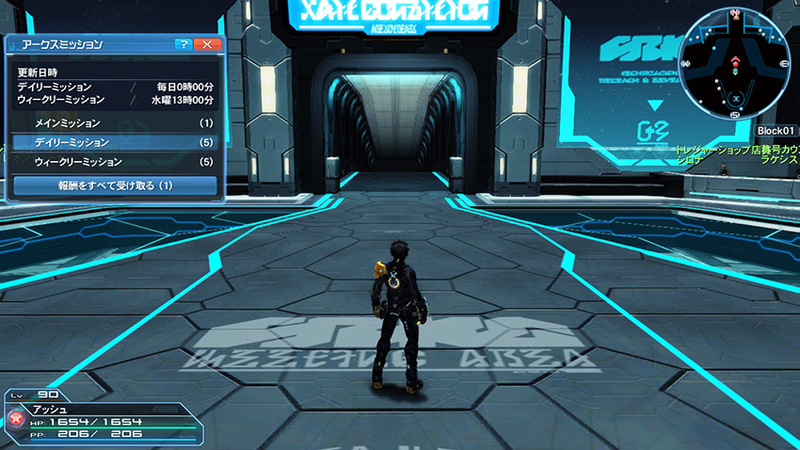 Lobby actions with effects or objects will not be available. A new menu in Options allows you to set the display size for damage dealt, damage taken/healed, and other variables such as EXP. 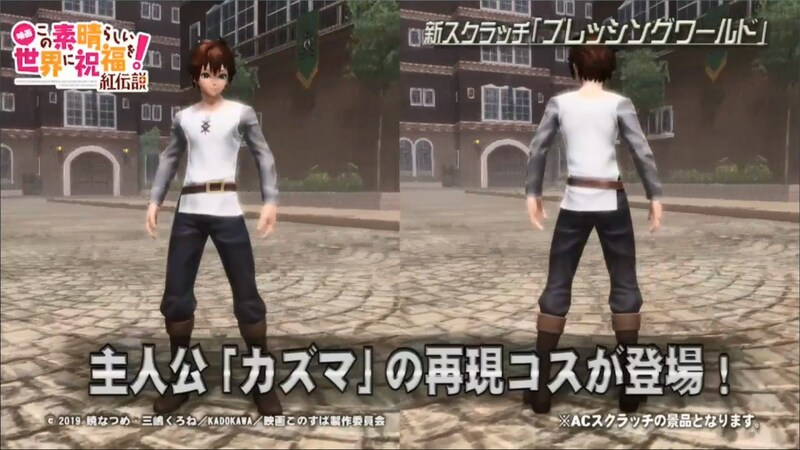 You can choose the size of the text with large, medium, small, or none, as well as individual sizing options for you, party members, and other characters. Another new feature lets you reduce the effects of other players. 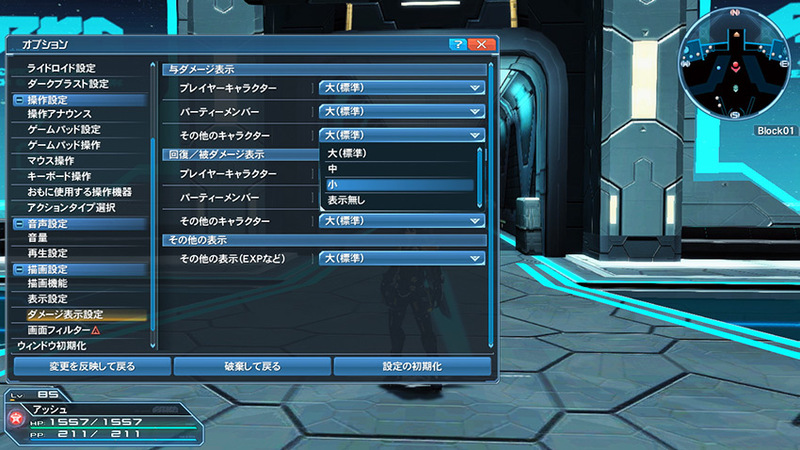 ※This setting is unavailable on the PSVita Version. [Weapon Badge SP] is a new type of badge that can be used in any of the 2015 ~ 2018 Weapon Badge Exchange Shops. 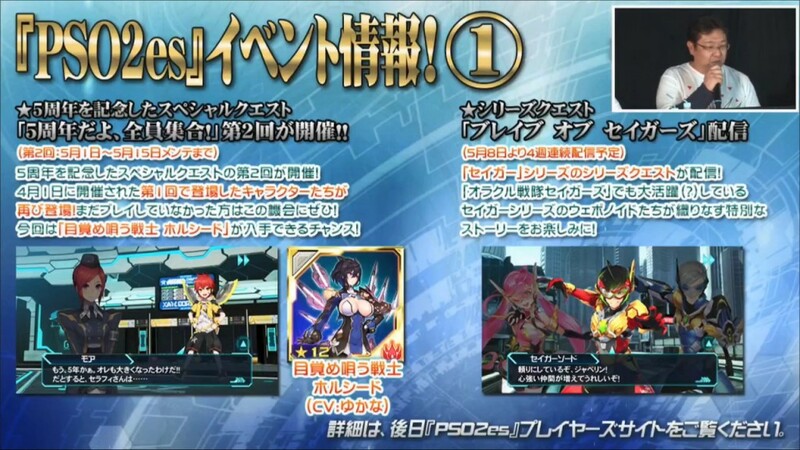 This will allow you to get items from previous years. The first AC Scratch of Episode 6 naturally brings a collection of Phantom apparel. Ulc, Theodor, and newcomer Ludmilla’s outfits will also be available. The scratch bonus includes a [+200% EX Tribooster], lasting a whopping 360 minutes!